Since our first birthday back in 2017, we’ve been running almost monthly TFG meetups in London (and more recently Manchester). 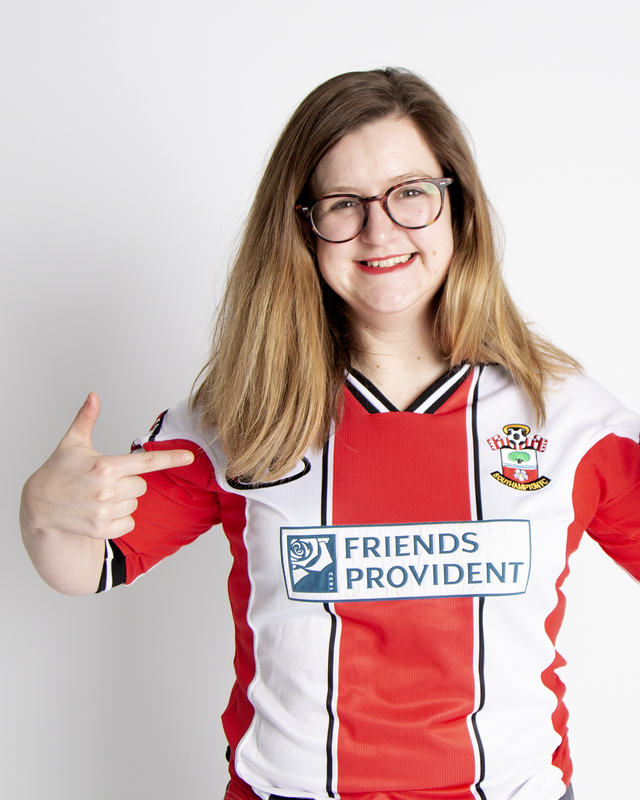 Going to the pub to watch the football by yourself can be intimidating, and just plain lonely - we knew there had to be a way we could enjoy it together, safely, and in a way that would allow others to get involved. To celebrate our 20th meetup earlier this month, we ventured South for the North London Derby. 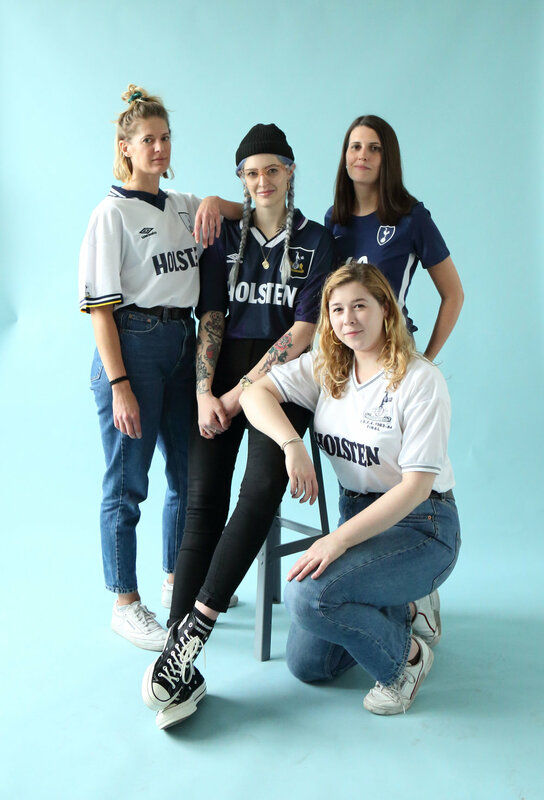 After a rowdy afternoon in The Rye, we took over Peckham’s Sunset Studios for a photoshoot, to celebrate all the incredible women we’ve met along the way, and the friendships and alliances that have been formed through the meetups. We’re excited to continue growing our community of incredible women, and making space for everyone in football. We had a chat to some of the women who could make it down to get their thoughts on the meetups - if you’re interested in joining us for a game in the future, drop us a message! “I love the meet-ups cos they’re super inclusive, non-judgemental, and open to all. On a superficial level: these girls know how to have a good time and are unbelievably passionate about the beautiful game”. “My experience as a female fan is that a lot of people are shocked that I am a woman of colour who is very passionate about football and understands the game, but TFG has changed the way I experience football, as I can celebrate my passion and something I love with other women who share the same excitement without being questioned or dismissed”. “I've always felt the odd one out in terms of being a female fan. I played football when I was really young, but was the only girl. I used to get intimidated by the thought of watching in a pub or 'male dominated' area. Up until about the age of 18, I was too nervous to try and talk to male fans about a game or decision in a worry that I'd pronounce a name wrong or someone would challenge my opinion. I often saw myself as an outsider when it came to football, but that's changed since finding a confidence within myself and finding communities like TFG”. “The process of having to re-negotiate and reassert yourself and your right to share space with other football fans never really ends. I've often been the only single woman watching the match in a pub or public viewing area; I get strange side-glances from other supporters when I go to Stamford Bridge; I've been quizzed and heckled and judged from New York to Kuala Lumpur and everywhere in between. But for all those negative and difficult experiences, I've also had wonderful, unforgettable ones: the jubilant shower of lager from the men standing behind me when the winning penalty was scored in England versus Croatia; singing "Blue is the Colour" with the only other supporter to know the lyrics in the stands during a friendly in Washington, DC; cheering Oxford United on with classmates while soaked to the bone. Most of all, however, it's worth it to find the other brilliant, fellow female supporters in the crowd - with whom I've first shared a glance, then a conversation, and then a hug - who remind me that we all belong here, loving our teams and supporting them through thick and thin, together”. 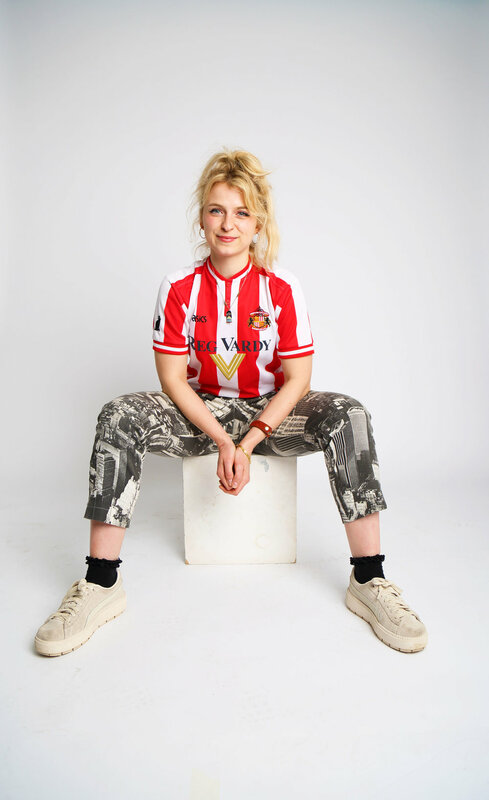 “I never really grew up with girl friends that liked the football, so to know there's an entire community of women that are like me that I can reach out to is empowering. It's also made me realise that I don't need to know the names of every single player in every single league to love the game”. “TFG & the meetups have given me a group of female football fans to go and watch Sunderland with and I’ve never, ever had that. It’s also given me a group of fab lasses to head to the pub with for big games which again, I’ve never had. Wicked”. Supported by box2boxheritage (thanks for the lovely kits!) and photographed by Kavita Babbar, we’d also like to say a huge thanks to the girls who made it down for the day! Keep your eyes on our social pages for more news on our future meetups, or join our This Fan Girl Chat here.